The most recognizable name in building and roofing products and the company that invented fiberglass, Owens Corning delivers an extensive line of quality shingles and roof accessories. Los Gatos Roofing has earned the prestigious Platinum Preferred Contractor designation, allowing us the ability to offer the Platinum Promise Limited Warranty, which backs workmanship for up to 20 years. Combined with lifetime shingle warranties, homeowners can enjoy the peace of mind that comes with having quality shingles and manufacturer backed installation. Owens Corning offers all the roof accessories needed to provide a complete roofing system, from underlayments to shingles, hip and ridge, ventilation, and insulation as well. 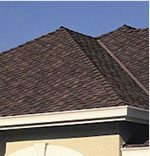 A leading manufacturer of building and roofing products in North America, Certainteed has seen great success in providing the Bay Area with high end roofing shingles. Certainteed has enjoyed a large market share in recent years due to innovative laminate shingle designs and patterns. 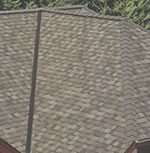 Los Gatos Roofing holds the highest contractor credential as a Select Shingle Applicator, and can offer the Five Star Warranty covering workmanship for up to 25 years. Certainteed offers all the roof accessories needed to provide a complete roofing system, and provides factory training to all our employees.